Margaret Thatcher is dead. And whether you agreed with her politics or not, she could not be ignored. I was about 15 or 16 when I first remember taking note of the woman they called the Iron Lady. 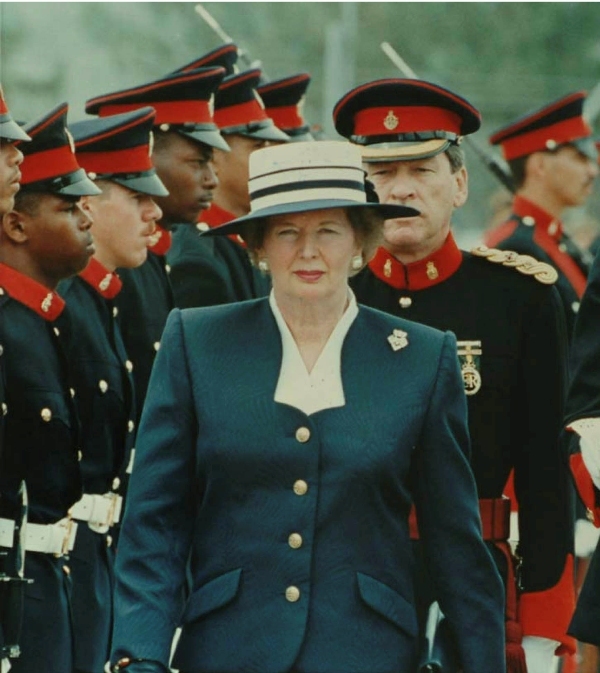 She was the first woman I remember seeing as a confident, unapologetic, female world leader. Was she imperfect? Of course. Was she quick witted, brilliant and powerful? You bet your ever present strand of pearls she was. I can still remember seeing her alongside President Reagan at the height of the cold war. She was so poised and confident that she made me think it was possible for women to do anything. It was possible for me to do anything. Whether you agreed or disagreed with her politically, there is no denying that her presence on the world stage paved the way for women such as Hillary Clinton, President Park Geun-hye of South Korea, Condoleezza Rice, Madeleine Albright, Prime Minister Helle Thorning-Schmidt of Denmark, Prime Minister Yingluck Shinawatra of Thailand, President Dilma Vana Linhares Rousseff of Brazil, Prime Minister Julia Gillard of Australia, Prime Minister Johanna Sigurdottir of Iceland, President Pratibha Patil of India, Chancellor Angela Merkel of Germany, and many others. She had ideas and opinions and she shared them unapologetically. She would not be ignored or disregarded. So here’s to you Lady Thatcher. Thank you. You were fierce and powerful and I loved you for it. You helped break down walls for women on the world stage and for me in my own mind and for that I am eternally grateful.